At 7:00 in the morning so curtains drawn and no one is up yet. As the day/sun progresses, the facade goes into the shade. I made a special point of going by to get an early morning shot. 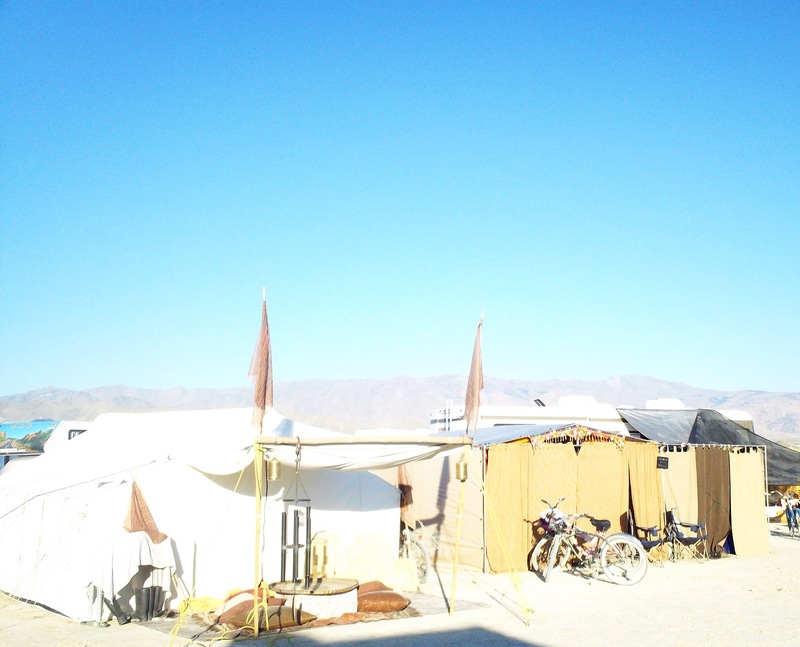 Karouch is already thinking of what art he can contribute next year to the magnificent gallery that is the playa. I believe they are having a great time.